Albert France- "Toughest Man in Town"
The toughest man ALL AROUND. This is ALBERT FRANCE, who's nick name was "Ab". 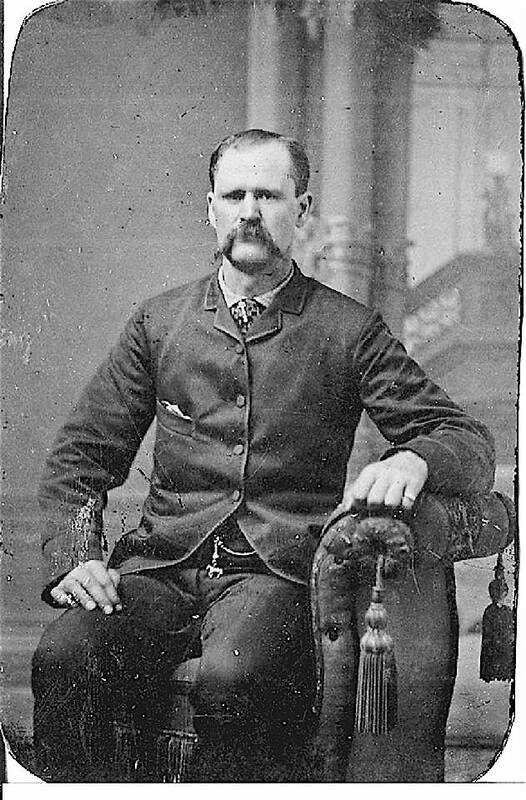 Albert France was born in the France Brook area of the town of Red House, back in 1839, and lived his entire life there, as he Died in 1897, at the age of 58 years old. Back in the later 1800s & early 1900s, the big sporting event in these smaller rural communities, was to hold fights, to see who was the toughest man around. These fights, mostly would occur, in Lumber Camps. Big Alonzo France, who stood 6 foot, 2 inches tall, he was considered THE toughest man around, as he would travel to various lumber camps, by horse and buggy and fight "the camp bully". Albert's ritual was, he would always take two swigs of whiskey, twenty minutes before, every fight that he fought in. He was for many years, undefeated in his fights, as some would end, with one punch, and one of these fights, lasted close to an hour. Some people say that Ab France was so tough, that he could have been a contender, to be a world champion boxer. These fights took place in lumber camps in the southern tier and northern Pennsylvania. Word would be passed around that a lumber camp had a bully tough guy, looking to fight, any takers that would challenge that person. If there were takers, word was sent to that lumber camp. to set up and arrange the fight. Most times, hundreds of people would show up as spectators, to watch these two fighters, fight, until one of the two, could no longer continue. Spectators and the fighters themselves, would place bets on these fights.